It was rumored that the release of the Justice League movie would set up the future of the DCEU, making or breaking projects that are currently in development. And he box office failure of Justice League did just what the rumor suggested. It was announced late last year that there were going to be some major shifts behind the scenes at Warner Bros. to get their DC movie division off of the ground and running towards more success in the vein of Wonder Woman and possibly even the Marvel Cinematic Universe. Walter Hamada recently came on board to take over for Geoff Johns and Jon Berg as DC Films president in a way to have less cooks in the kitchen for the studio. It was recently announced that Toby Emmerich was named the studio's new chairman, placing Sue Kroll to a producing role. Additionally, it's been stated Warner Bros. CEO Kevin Tsujihara will be less involved with the day-to-day routine. A new report from the Wrap is detailing even more changes behind the scenes that are clearing house in an effort to make the DC Films division run smoother than it has been. For over two years, Warner Bros. operated with "greenlighting-by-committee," which seems to explain why so many DC projects are currently in various stages of development, but now Toby Emmerich is the one in charge. Now there's less of a committee and Emmerich will only have to talk with two people. The restructuring behind the scenes at Warner Bros. is also supposed to streamline the marketing of their movies. Though Justice League is a flawed product according to critics and fans, many believe that the movie could have done better had it been marketed more efficiently. A lot of fans and insiders saw it as a big mistake to not use Superman in any of the promotional material for Justice League and believe that the movie might have done better at the box office had they advertised Clark Kent's appearance in the movie. From the outside, the DC and Warner Bros. situation looked pretty unorganized and seemed as if they were announcing a new movie in development every other week, which led to confusion with fans and even the actors in the movies. For instance, Jared Leto was not notified that there was going to be a possible Joker spin-off movie that he would not star in and he was also not aware that he would be basically cut out of Suicide Squad. Hopefully the cleaning up behind the scenes will shift the focus to a few concepts and projects as opposed to all over the map. 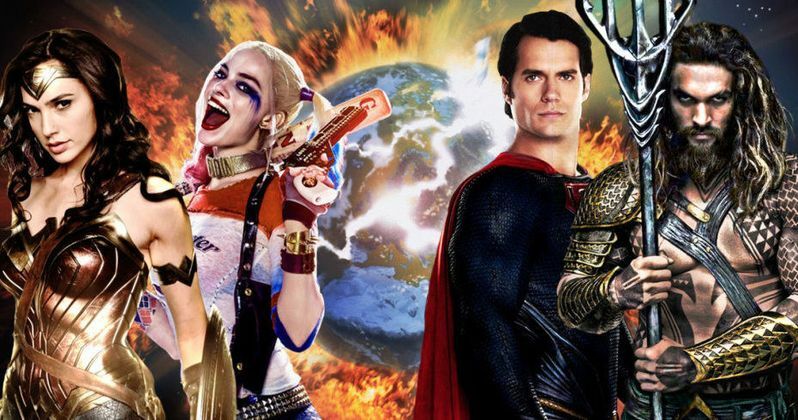 There's no reason why Warner Bros. and DC shouldn't be killing it left and right like the Marvel Cinematic Universe. They have some of the biggest and most iconic superheroes of all time in their stable and a wealth of material to base these new movies from. Wonder Woman is a prime example to follow and it seems obvious that the studio will follow suit. You can read more about the restructuring going on behind the scenes at Warner Bros. and DC via The Wrap.